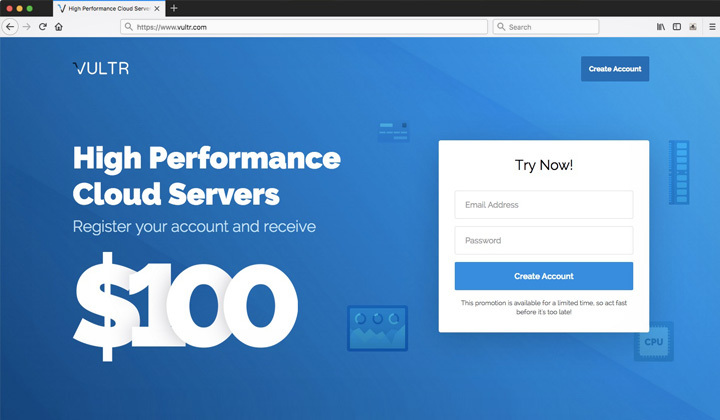 Get a bonus credit of $100 USD for newly created Vultr.com accounts, for example run a 100GB Vultr cloud server with 4CPUs & 8192MB memory 2 months free. How? Click here to enter the sign up bonus page. Please, note that this offer is subject to availability. You can also check out the “free trials” page in April, 2019 to see other ways to start up, for free! 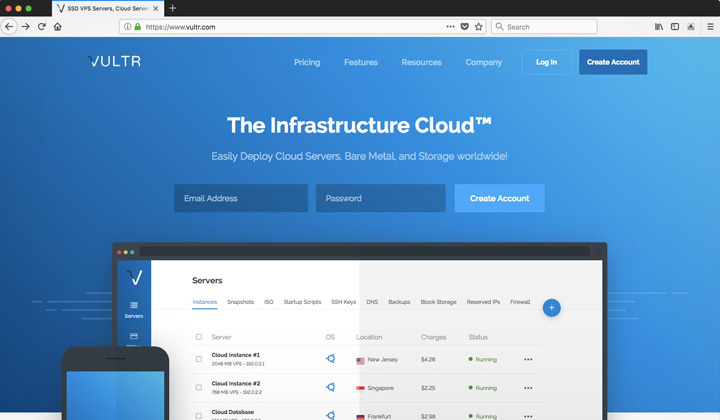 Regular sign ups when creating a Vultr.com account directly through the front page do not include free credit, and promotions are not shown on home page. That’s why you need a special link to access the registration page with includes the bonus credit. Old account owners may be subject to phone verification. Also if your web browser has been used previously to access someones Vultr account, I highly suggest clearing cookies before accessing the promo page. This is what it looks like when you enter the “promotional page“, which offers $100 of free credit as a bonus for new sign ups, valid for 60 days in total. Enter your email address and password, then hit the blue “create account” button. And you can launch high performance SSD cloud servers in 15 locations. 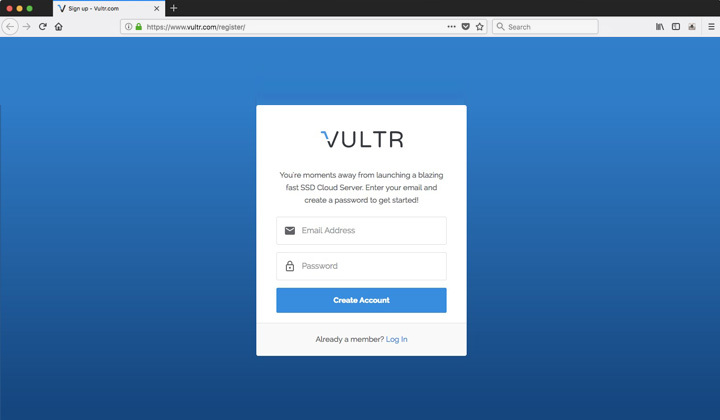 Seeing this page upon registration to Vultr.com? This is taking you through the ordinary account registration. Please, check the link above or, the bonus promo may have been be terminated at this time. Have fun deploying your servers on the best low-cost VPS provider. 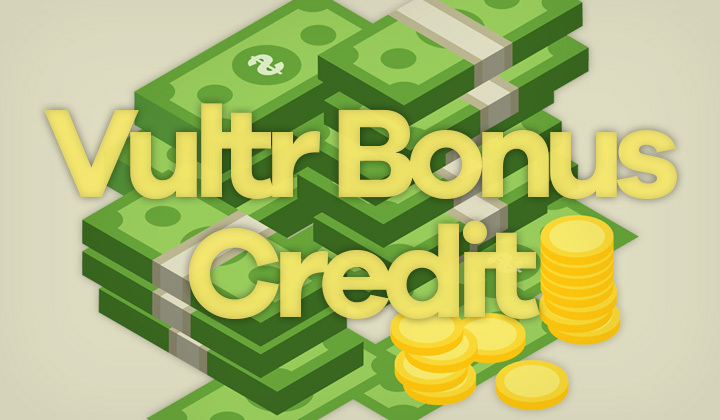 Any questions about sign ups, registrations or the bonus credit? I am happy to answer them in the comments below. And thanks for your visit, David. I always aim at transparency concerning any potential affiliate links and wish to inform readers that this, including other posts may contain them. Thank you for your support, and sharing on social media is caring!